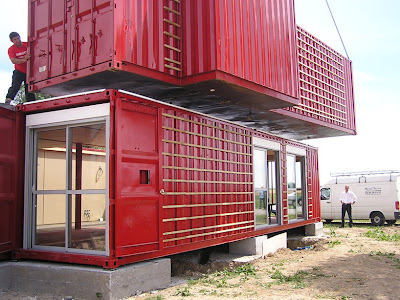 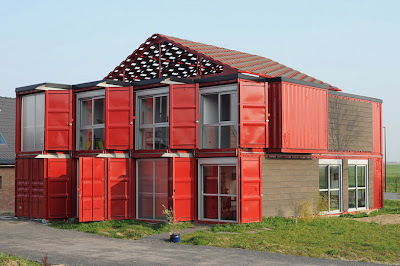 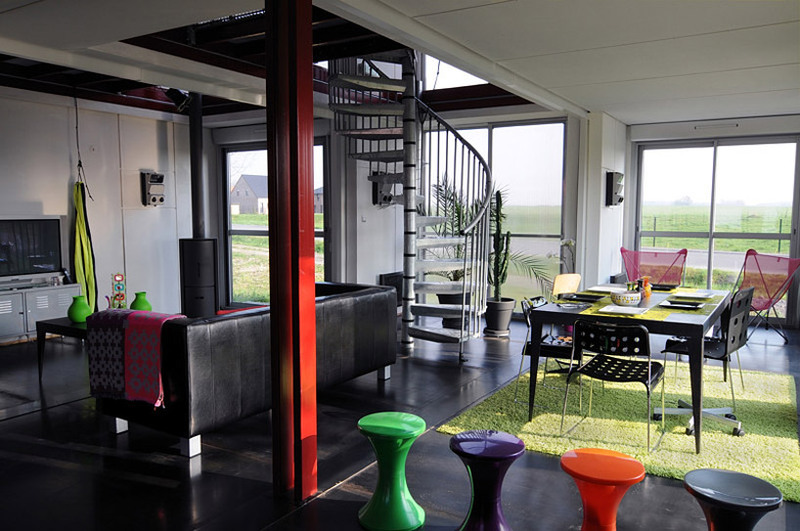 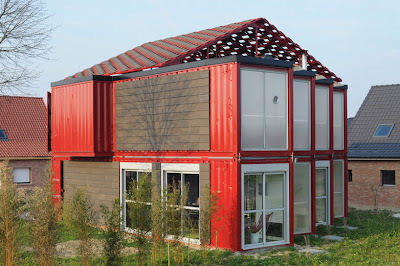 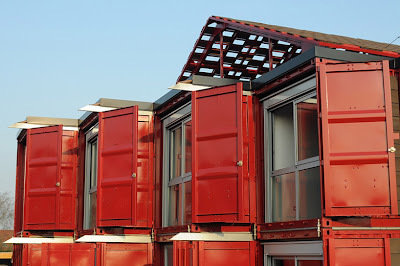 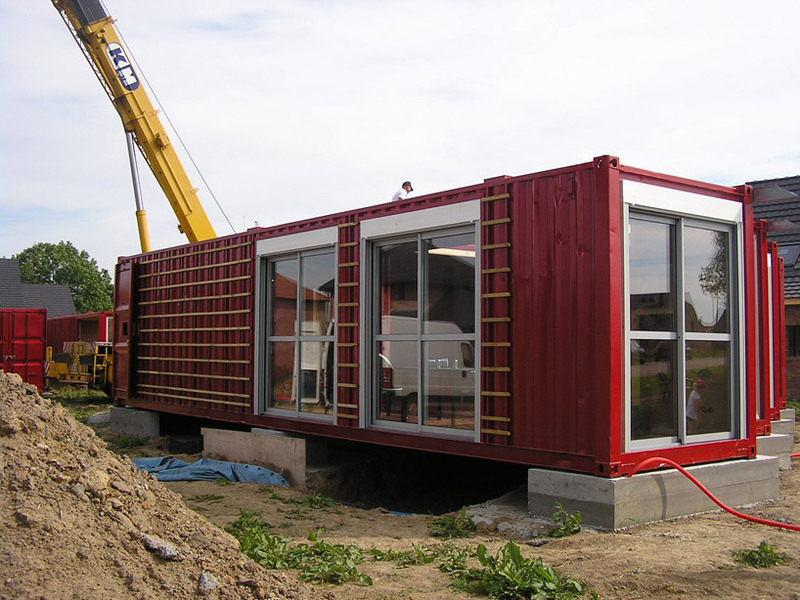 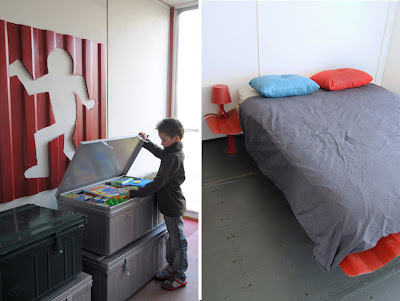 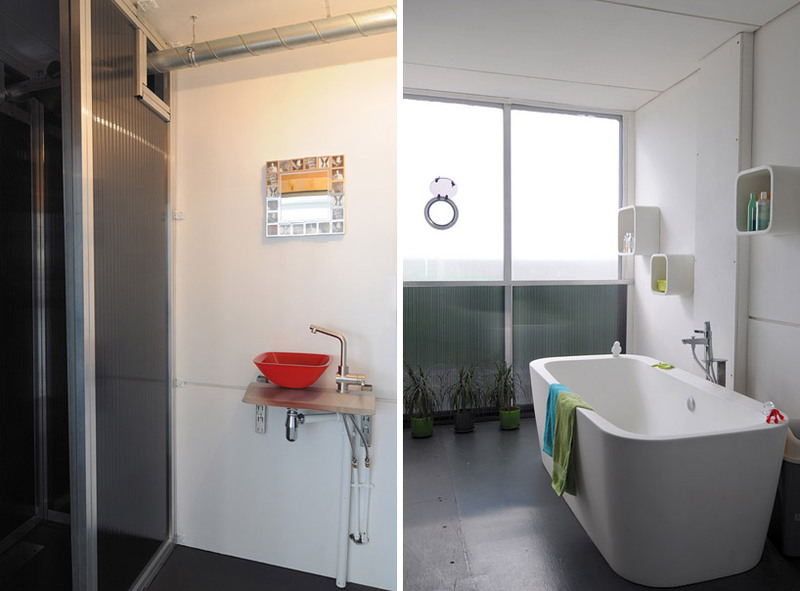 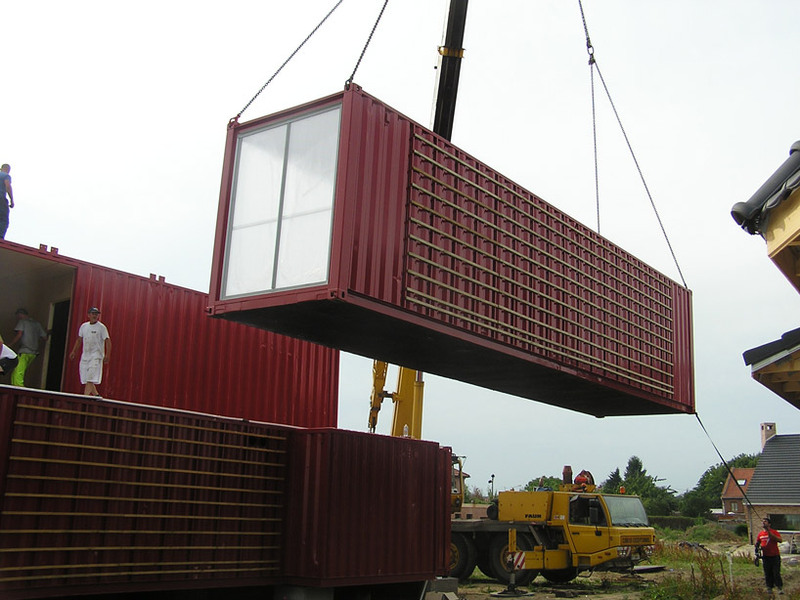 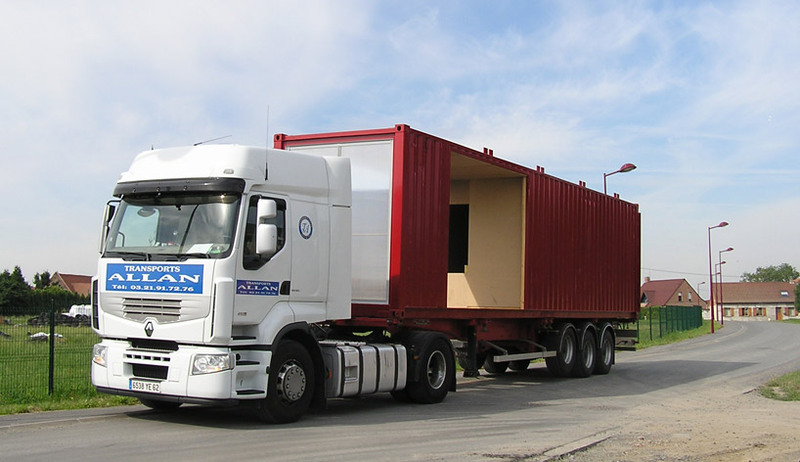 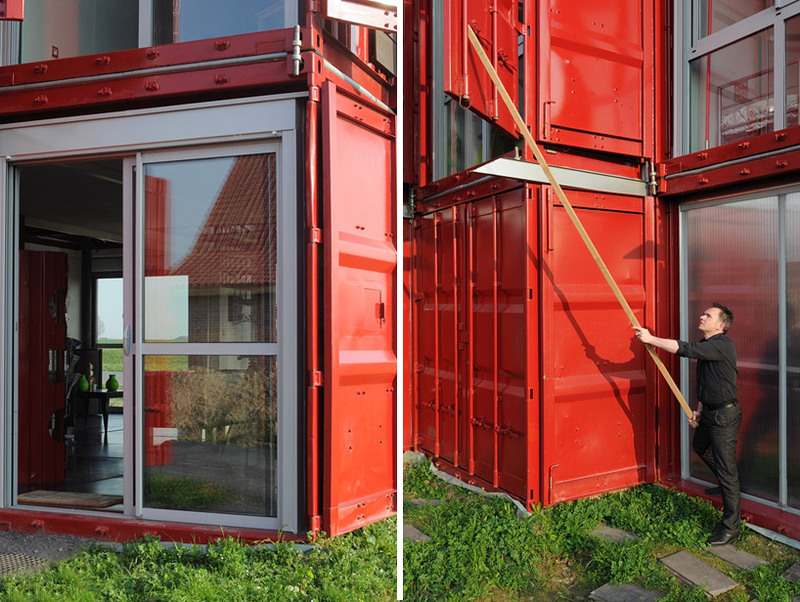 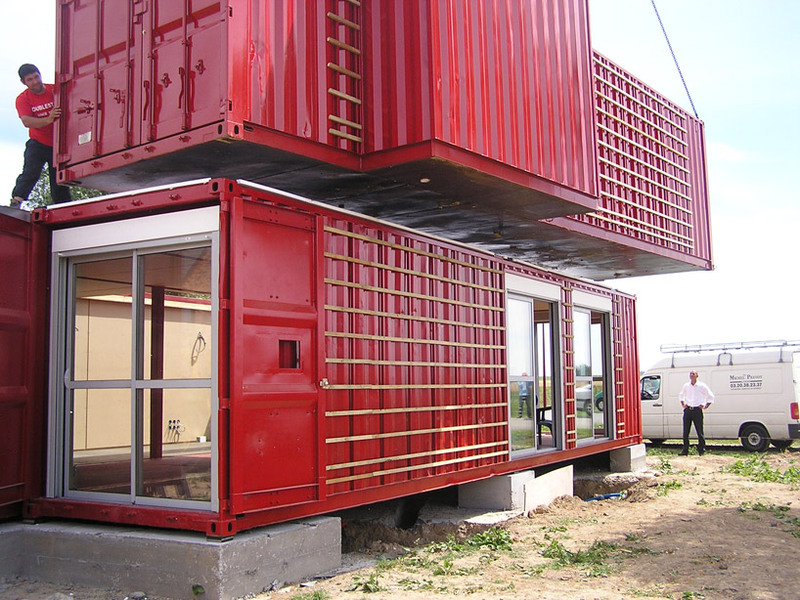 French architect Patrick Partouche has completed construction of single family homes, using the eight containers. 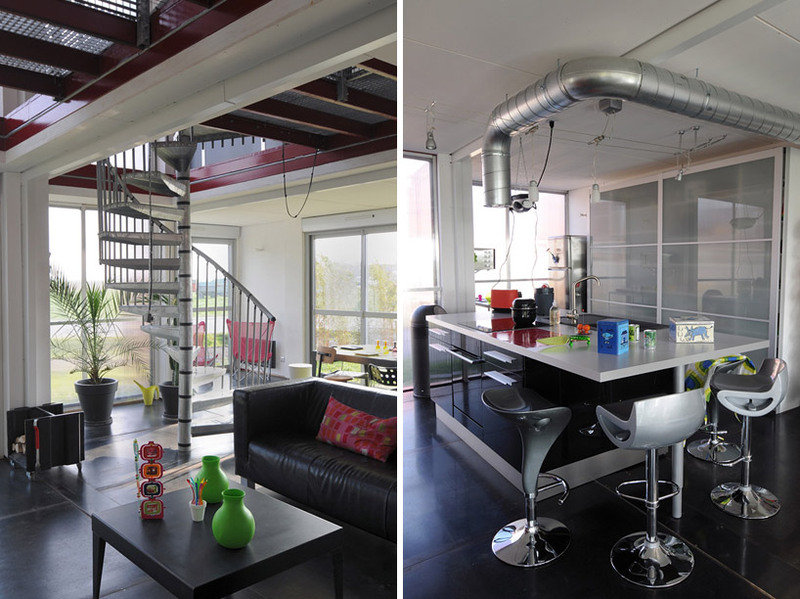 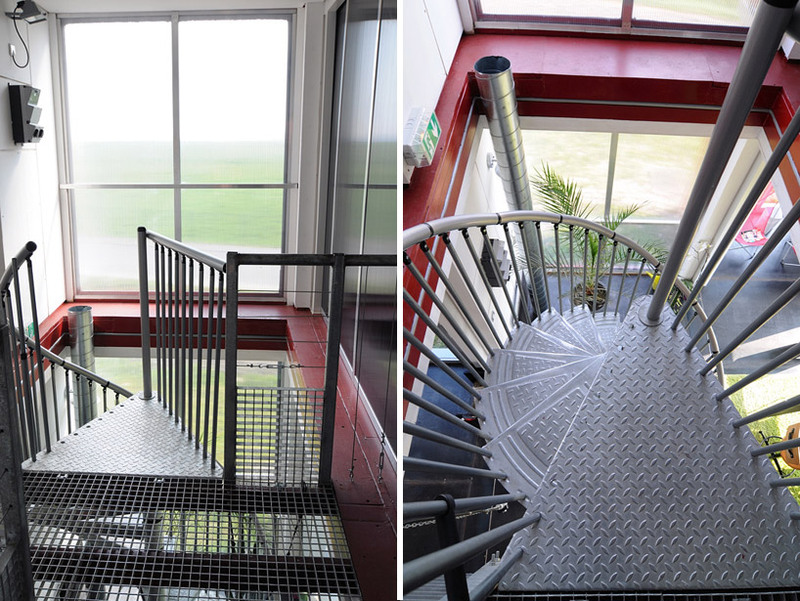 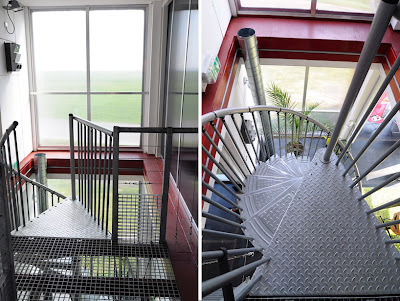 This project was built in the town of Lille, France. The house has turned out a very comfortable and spacious, the total area of ​​208 square meters of dwelling. meters. 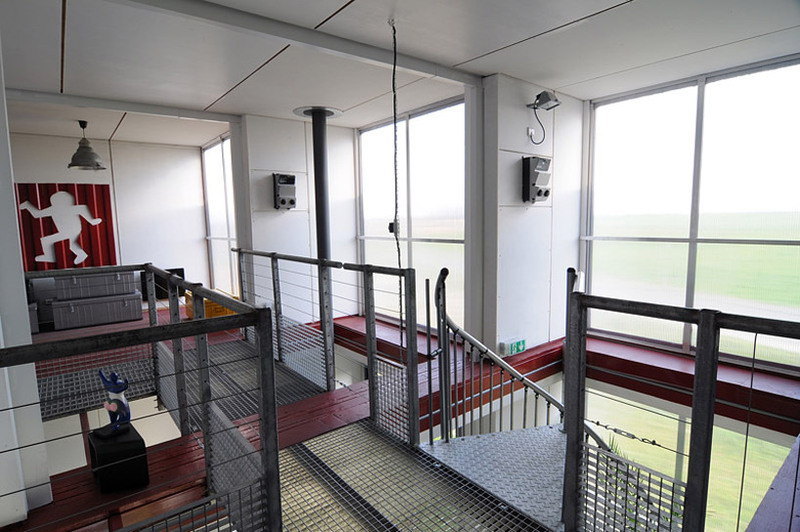 From the huge windows offer magnificent views of the rural field. 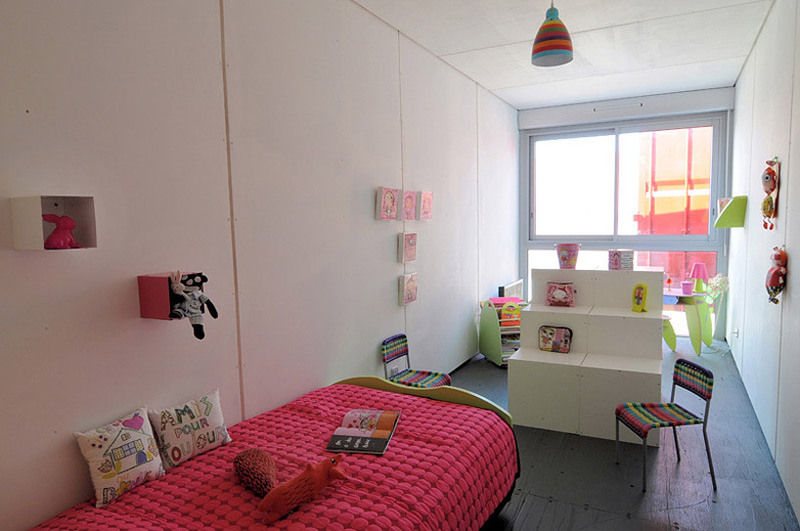 Original shutters, walls can turn the house into an impregnable fortress. 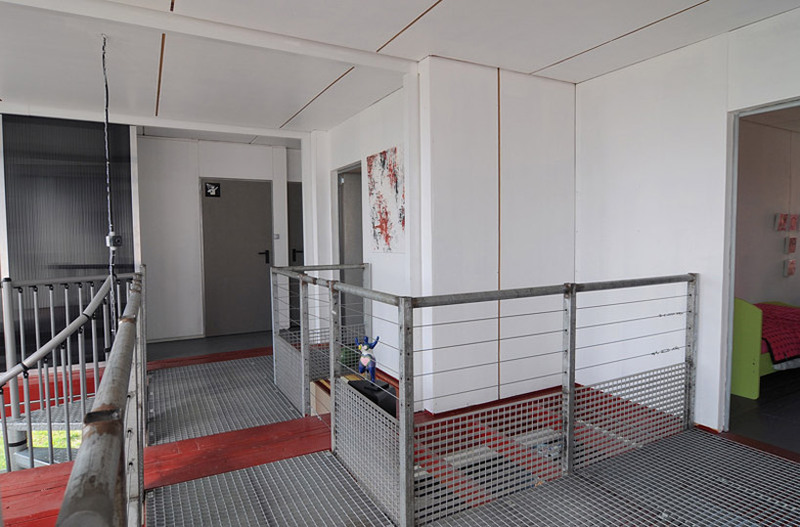 In the case of leaving the owners, their refuge is fully protected. 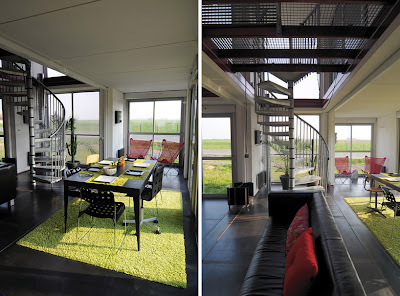 However, the owners of the house using these designs only to protect the interior from the sun.